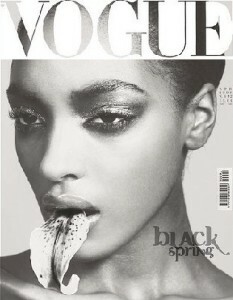 22 year old British Supermodel Jourdan Dunn has claimed to net-a-porter that racism in the fashion industry still exists. She was interviewed by the online fashion publication and opened up about the issues that over clearly overlooked by the general media when it comes to the underbelly of fashion. 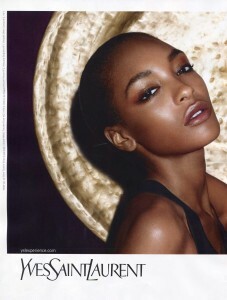 She is one of the world’s most highly sought after models regardless of race. Jourdan models for Yves Saint Laurent, Burberry, Prada and has graced the cover of ID Magazine, and was one of a select few black models to grace the cover of Vogue Italia’s ‘Black Models’ issue which was a landmark for that legendary rag. Not one to shy away from speaking her mind, she very openly told a journalist that there weren’t enough black models on the runway, right before being named British Model of the year in November 2008. After those comments, design houses and fashion commentators all over the world were scrambling to either rectify the issue or defend their reasoning. It was not long after when Vogue Italia decided to publish it’s ‘Black Models’ issue. It is crazy to think that this stunning model is only 22, a single mom yet her career is one that others can only dream about. Yet she has a keen sense of observation within the fashion world and is using her voice and platform to call out injustice and unfairness as she sees it. Dunn tells the mag about how she would be on her way to castings and was told to turn back because the client “didn’t want any more black girls”. There was even one instance when a makeup artist announced on a shoot that she didn’t want to make-up Dunn’s face because she herself was white and Dunn was black. Sounds fake right? Well sadly it isn’t. If one of the most sought after models at the top of her game still struggles with an issue like skin color in an industry that claims to be setting new trends, breaking barriers and the epicenter of art and free expression, it’s a shame that basic human values get overlooked in the favor of what a client wants. If the client are the general population of buyers in the world, then shouldn’t we be dictating the standards of fashion? 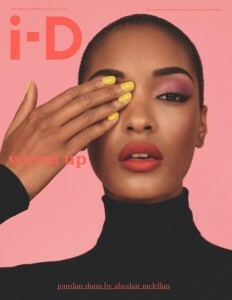 Jourdan Dunn is a young woman who has not exactly had it easy what with being a single mother to a ill child (her son Riley has sickle cell disease) and bearing the brunt of racism in her career. But her speaking up about these issues gives power to other young women who are held back by these very issues. Have you experienced racism in the fashion industry or in another career? It’s not even cover models, magazines still illustrate feature stories, beauty stories, with Caucasian celebrities and models. How is someone like myself (Indian) supposed to pick up beauty tips when my colour is not even recognised? And even if they do feature a model of another colour, its either as a token or a one -off. It would be a nice change if the embraced the idea that there is not just one type of beautiful.